It’s heartbreaking stuff, but it’s par for the course in Asif Kapadia’s documentary about the troubled and talented singer/ songwriter. Kapadia balances the inspirational moments with the tragic, and in doing so creates an honest portrait of a deeply sensitive person whose inherent troubles were magnified by enablers, opportunists, and the celebrity machine. While the film doesn’t absolve Winehouse of her sins, it doesn’t condemn her for them either. Nor does it cast judgment on those who may have been tangentially instrumental in her undoing. Kapadia has assembled an impressive collection of footage from Winehouse’s life. Amy has the benefit of taking place in a time when cameras are omnipresent – any average Joe could be the subject of a serviceable documentary, I’d bet – but even so, a lot of moments are strikingly prophetic. It’s as if everyone around Amy Winehouse knew she was destined for the stars, and with a voice like hers, who could blame them? The many moments when Amy sings are when Amy really sings. Ahem. These musical segments are strategically placed throughout the film to follow the real life events that inspired the songs. As we hear (and sometimes read) the words it becomes clear how gifted a lyricist Winehouse was, as well as how personal her music was to her. At the time of her death, Amy Winehouse had become a punchline, a poster child for excess, but Amy succeeds in peeling back that stereotype to reveal the human being beneath. It’s also about the strongest case as to why Amy Winehouse absolutely belongs in the tragically honorable “Forever 27” club. You will put on Back to Black after seeing Amy. It’s inevitable. 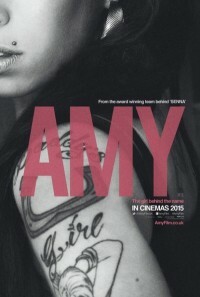 Amy opens today in Philly area theaters.